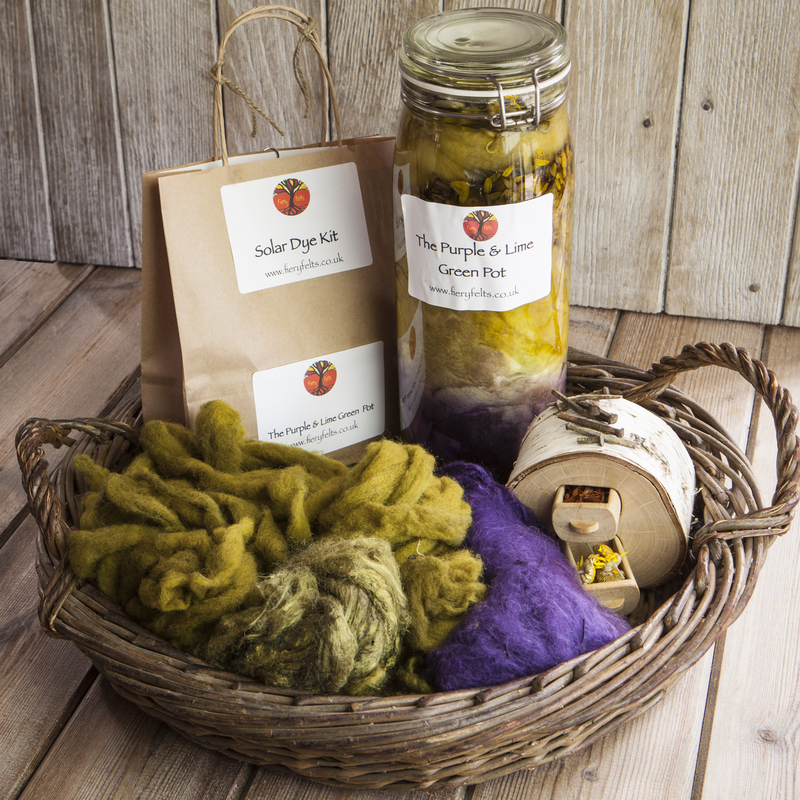 In the Solar Dye kit you will find 50g Logwood chips, a piece of muslin to tie the chips into, 50g Dyers Camomile (grown and carefully harvested in North Wales), and rusty nails. Full instructions along with the mordant (fixative). An old jam jar or tin to disolve the mordant in, a stick to stir it with and a jug for water. Each book is A4 comb-bound with hand painted cover, so will vary from the photograph.